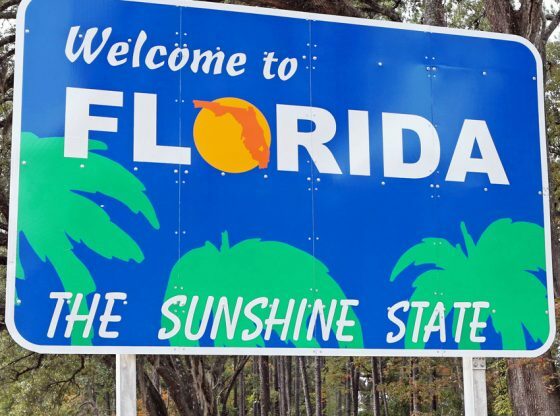 TAVARES — We’ve all hear the urban legend passed along, about firefighters who get a frantic call from granny that her cat is stuck in a tree, so out some the ladder off the fire truck to save the poor kitty and get her down. But the challenges facing the Lake County Animal Shelter are no laughing matter for the county’s firefighters, who teamed up with the shelter this year with the goal of saving more shelter pets and helping to find them homes. This holiday season, the Lake County firefighters have their own calendar, a project they created after teaming up with the Animal Shelter. 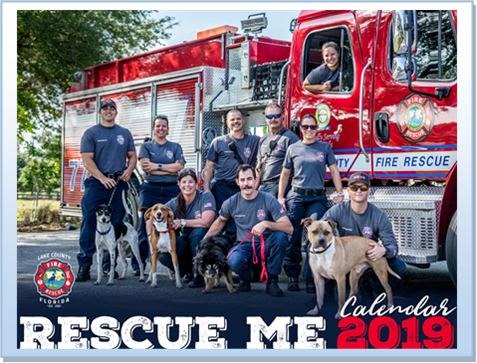 The 2019 “Rescue Me” calendar will feature 12 months of firefighters pictured together with adoptable cats and dogs in this project designed t help raise money for the shelter’s mission. All proceeds from the calendar will benefit the Lake County Animal Shelter, which is a no-kill facility managed by the Lake County Board of County Commissioners. Located at 28123 County Road 561 in Tavares, it’s also become a fairly crowded shelter at times. What Challenges Are the Animal Shelter Dealing With? That shelter was built in 1994, but the 13,000 square foot facility is considered too small and has been frequently overcrowded. The shelter has also had faulty air conditioning problems in recent years. 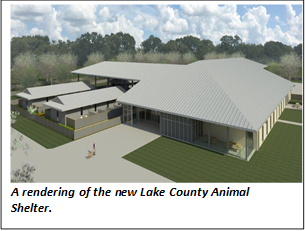 In April, the Lake County Commission voted to approve the construction of a new animal shelter, which will be financed by a one-cent sales tax that voters reauthorized in 2015. The commission also adopted a no-kill policy for the Lake County Animal Shelter, where animals are only euthanized if they are too sick or too aggressive to be adopted. Instead, the county has pushed for a strong adoption program to find homes for stray cats and dogs. The policy has been working, and the county has placed more than 3,700 pets in recent years. Still, the shelter is usually full and employees there host special themed events throughout the year to encourage pet adoption specials, such as their “Hot Dog, Cool Cats” summer adoption events to place even more of the animals now living there. The new shelter will be double the size of the current building to 26,667 square feet. It’s expected to cost around $8 million to build. How Did the Shelter try to Promote Pet Adoptions Last December? Last December, the shelter offered “pawtificates,” or gift certificates that people were able to use to adopt either one dog or two cats, and they also put up a “giving tree” in their lobby. Decorated with ornaments that featured adoptable animals, it was used to encourage the public to donate many of the items that the shelter staff needs, including towels, blankets, treats and canned food. The new “Rescue Me” calendar is available online for a suggested donation of $10. They’re also available to purchased tonight during a release party from 5:30-7:30 p.m. at Puddle Jumpers, 111 W. Ruby St., Tavares. Nacho, a shelter dog who is pictured in the calendar and has been available for adoption for more than a year, will be attending the party tonight. The “Rescue Me” firefighters calendar is sponsored by the Professional Firefighters of Lake County Local 3990, a not-for-profit 501C3 organization. 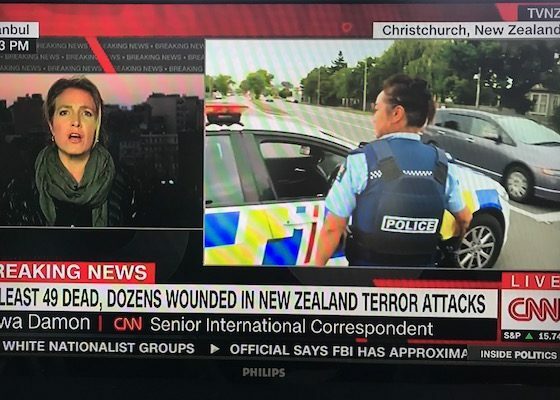 The members often raise funds for the local community. The photography, graphic design and print production for the “Rescue Me” calendar was done in-house by the Lake County Office of Communications. For more information about adoptable animals, follow the shelter on Facebook and Twitter or call 352-343-9688. Michael Freeman is an Orlando journalist, playwright and author of the book “Of Cats And Wolves.” Contact him at Freelineorlando@gmail.com.